Inspiring creativity. Founded by Olivia Triggs in 2007, Breed is a London-based creative agency representing a select group of highly individual talents. We currently look after the work of 15 artists, illustrators and photographers, each with their own distinct style and perspective. We pride ourselves on both the vision and variety of our artists and the lasting role we play in nurturing their talent, supporting their creative goals and finding opportunities where they can further explore their abilities. With a hands-on approach, a culturally aware outlook and a spirited attitude, we’re the UK’s go-to agency for original art, photography and illustration. We work with clients in spheres ranging from advertising and brands to fashion and retail and more. Below you can see a few of the names we’ve worked with in recent months. Andy Gilmore, based in Rochester New York, describes himself as a draftsman, designer and musician. Andy has an impressive reputation, his clients include AMV BBDO, Ogilvy NY, Anomaly, Wallpaper*, Wired Magazine, The New York Times, Cool Hunter and McCann Erickson. His works have been featured in countless publications, shows and exhibits around the world. He explores physical properties and proportions of sound and light in his work. He performs through the synchronization of form and colour, in order to create these geometric works of art. Being a musician, Andy’s inspired by the physics of sound and acoustic. 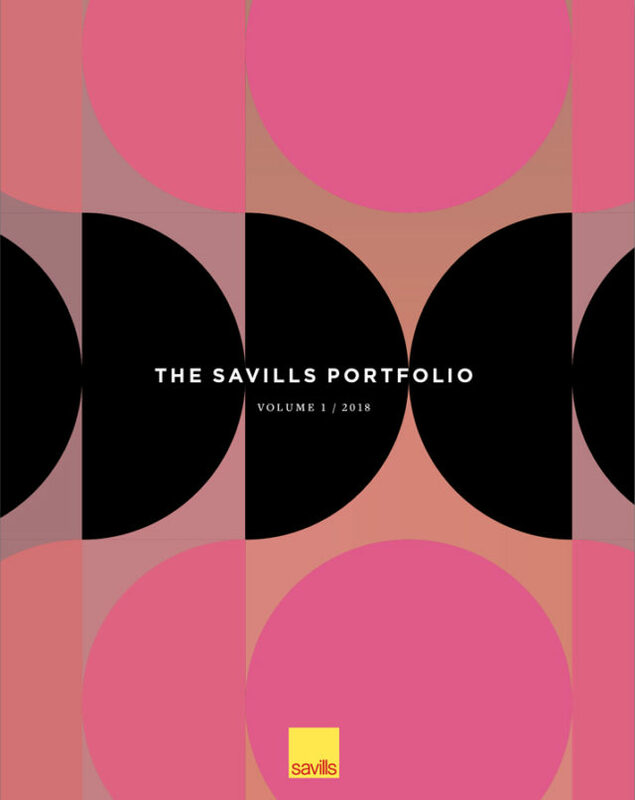 Andy Gilmore has created the look for global property agents Savills’ new portfolio, in shades of pink and black, seen here on its cover. It says it’s volume 1, so perhaps we’ll be seeing further variations before long. The commission for the work came via Sunday creates.